Power Brushes or their small cousin, power brooms are the perfect fit if you have lots of foot traffic. 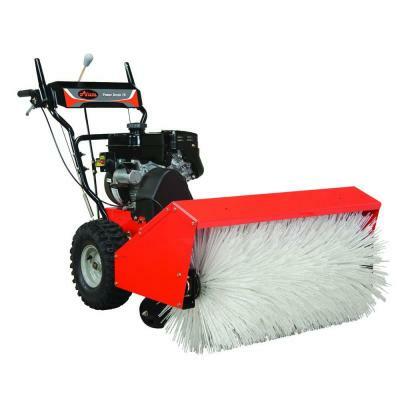 Power brushes clean right down to the hard surface, removing packed down snow from foot traffic and vehicles. They work well on pavers, cobblestone, cement, black top and even lawns. 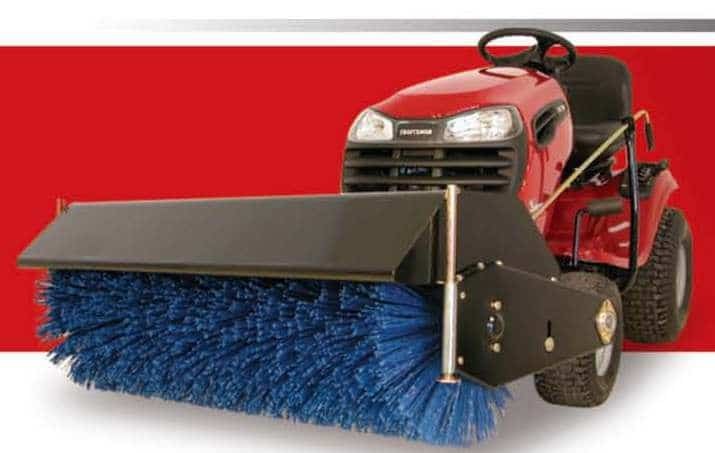 Power brushes are safer to use than a snow blower in areas where people may drop things. No more broken shear pins from that glove or book someone dropped. They only throw the snow a few feet so there is less danger of hitting a pedestrian or window. Power Brushes work really well in areas where there is a lot of foot traffic and you can safely work even with people around. Power brushes save you many man hours compared to shoveling these areas and also save considerable costs in salt and other de-icing chemicals. 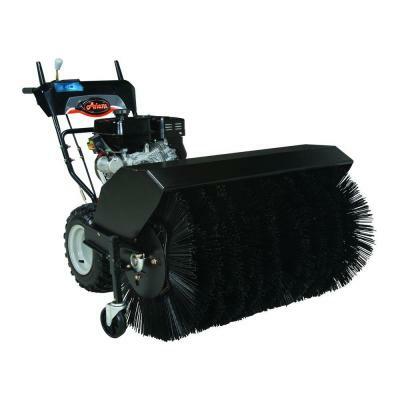 With a power brush you can remove up to six inches of snow, slush and debris from walkways. Power brushes offer flexible bristles that conform to uneven surfaces, helping to reduce wear and you can use them on cobblestone, gravel and eroded concrete. A power brush will last years before the bristles need replacing and won’t leave rust marks or scuff your delicate surfaces. A good power brush is hard to find. There are a dozen or so commercial versions, but unless you have a dedicated dealer that can get parts quickly, I would stick with one of these three.